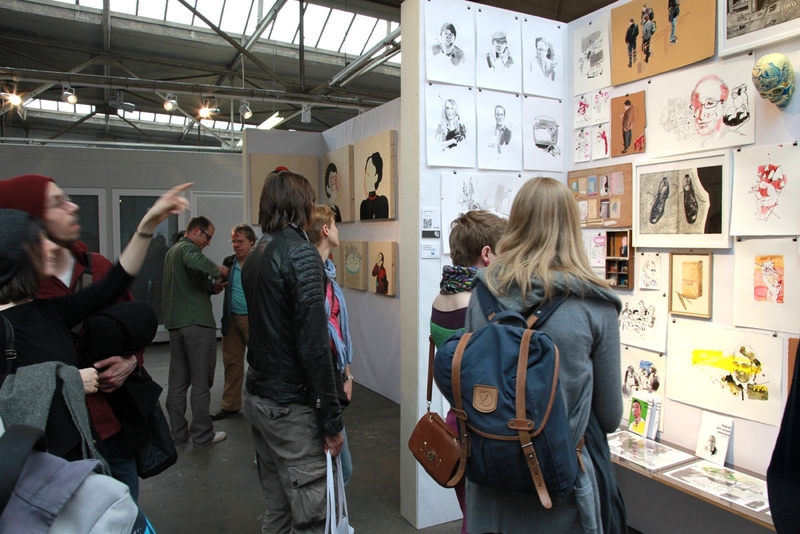 The Illustrators Festival 2014 was being held in early April 2014 in Cologne at the exhibition hall of the Design Quartier Ehrenfeld. 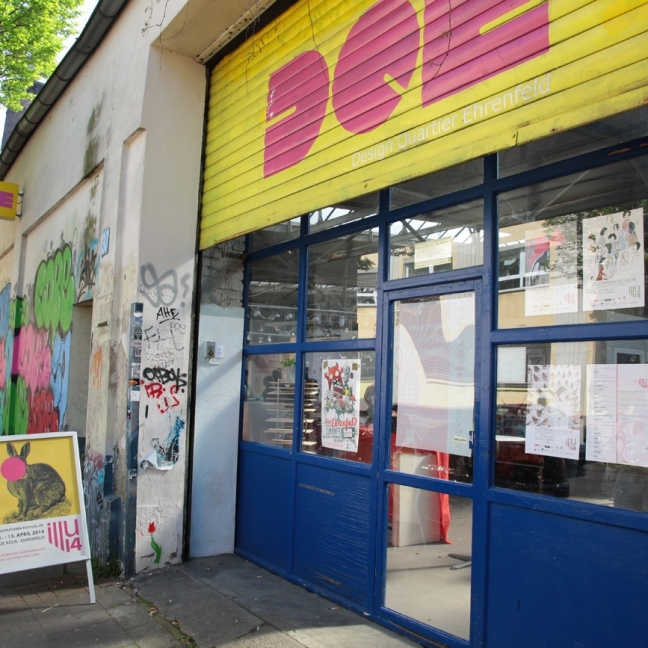 51 professional illustrators, representing the illustrator’s scene of North Rhine-Westphalia, were bringing together. 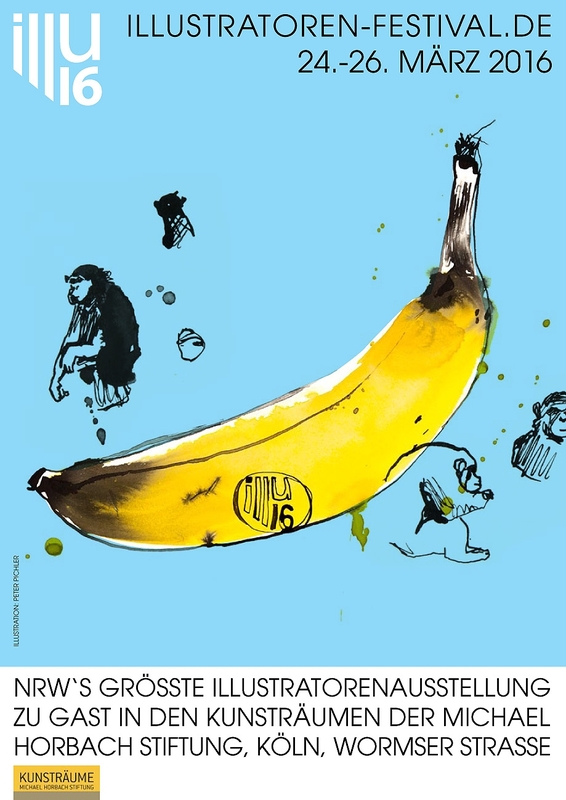 The festival was co-organised by me as a member and co-founder of the society “Illustratoren-Festival e.V.”. 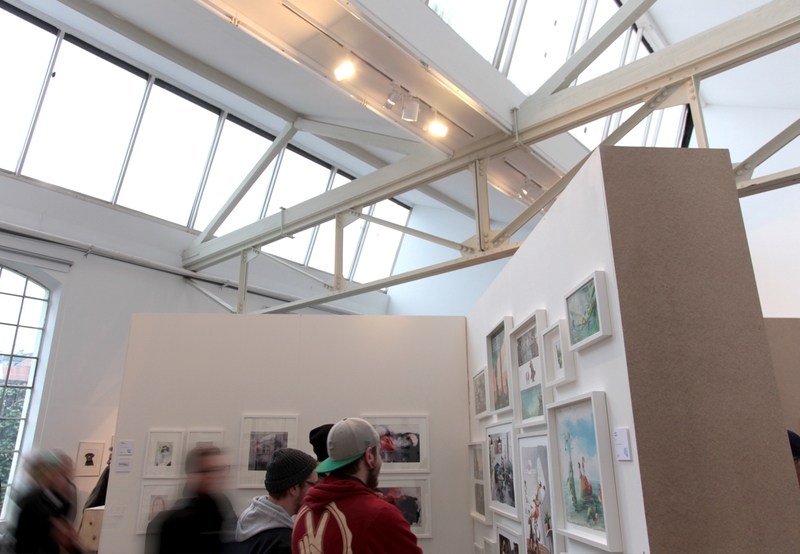 The exhibiting artists were selected from a list of applicants, and the judges were interested in representing the diverse contexts and styles in which illustrators work. 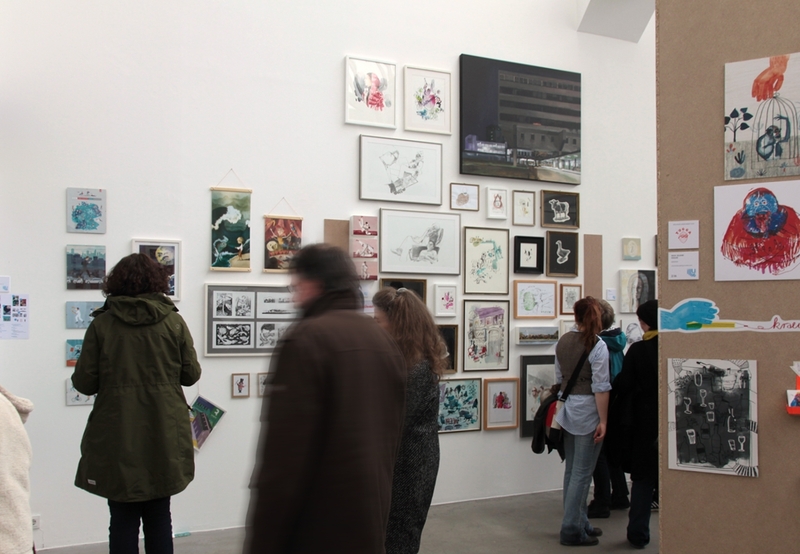 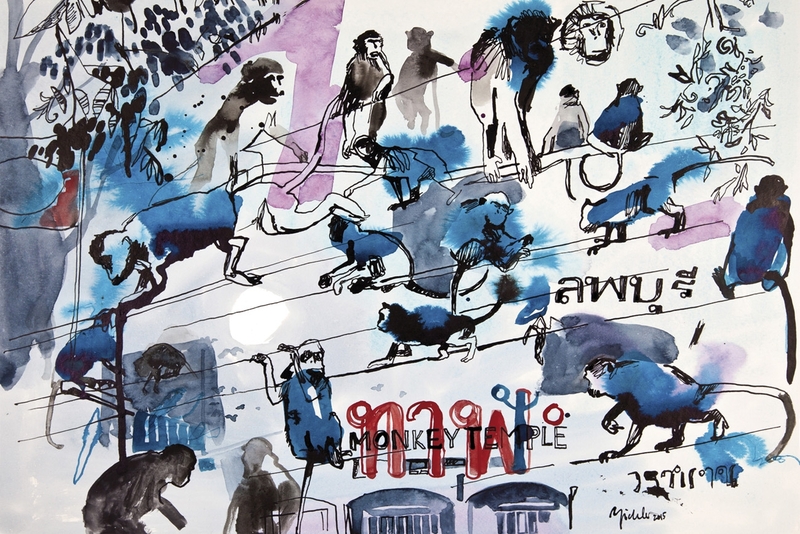 There were examples of editorial illustration for magazines and newspapers, digital works carefully printed, woodcuts and etchings, loose and rough sketches, comics, children’s book illustration, portraiture, as well as sketchbooks, publications, self-published books and a hanging mobile. 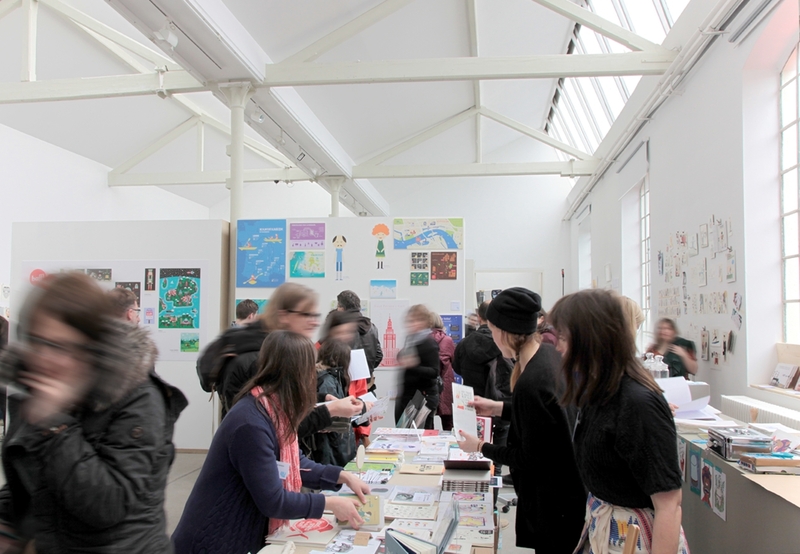 The theme of ILLU14 was ‘Illustration – the balancing act between art and life’, and the engaging festival showed an impressive variety of work. 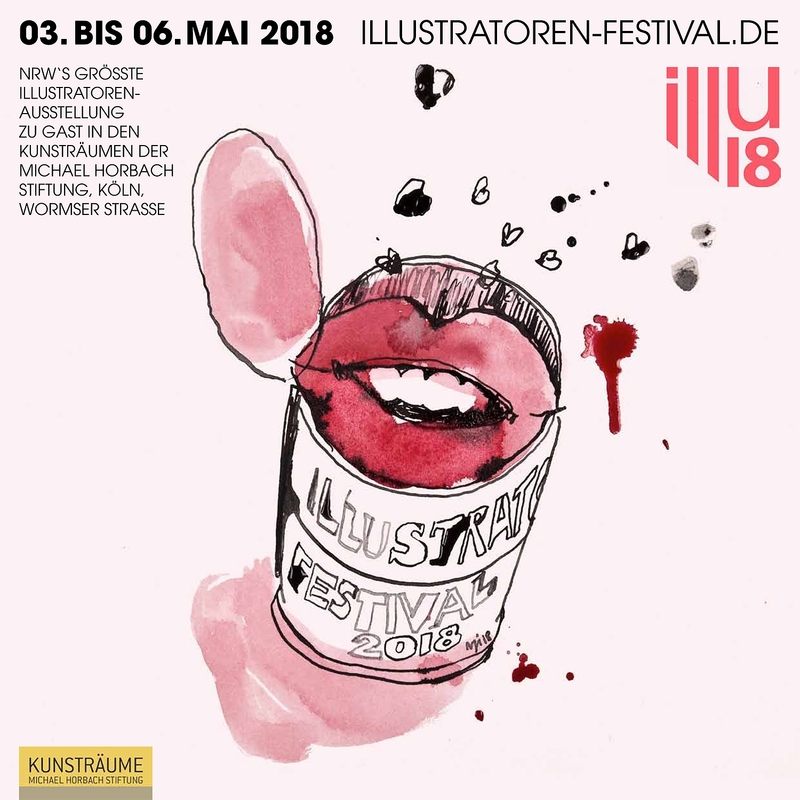 As well as important lens for the public to view illustration, it was an excellent opportunity for networking because it brought together art directors, publishers and other professionals in visual arts industry. 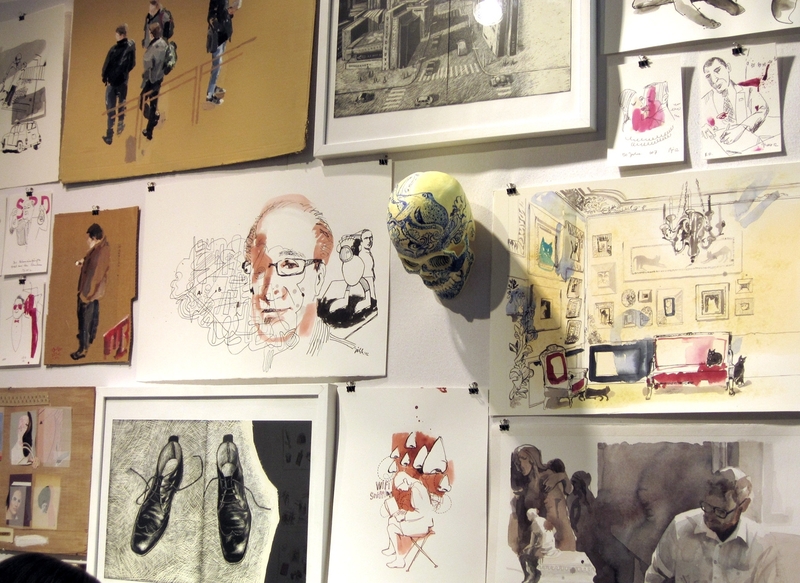 The fotos below show the exhibition-space of my own works. Watch the TV documentation, interviews and some impressions of the ILLU14.